Forest Park Drive and Woodhaven Blvd. Sign up to Spring Forward at Forest Park! 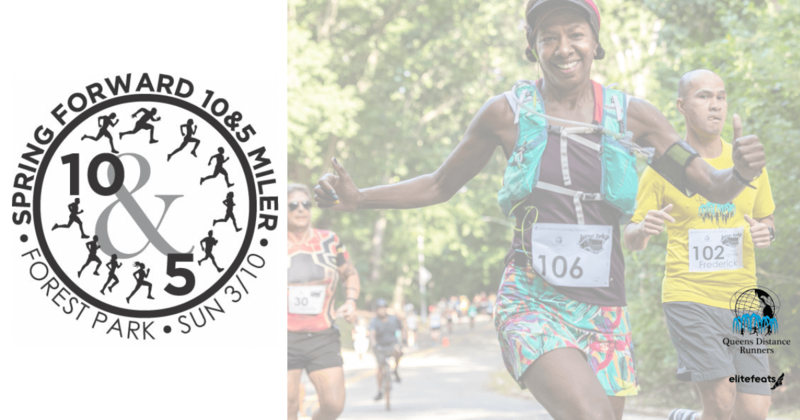 Join us for our annual 10 Miler (4 Loops) or 5 Miler (2 Loops) set for March 10th, as we welcome Spring, and just in time before major Marquee Race Events in the New York City area. We have received plenty of feedback regarding our return to Forest Park, and we can understand why. Certainly not a pancake flat course, but not incredibly hilly, this course will offer a balanced race on your Spring Calendar. Whether you are using this as an opportunity to train towards a Spring Marathon, or hone in on your speed, this race will have a little bit of everything for you. Bathrooms can be located by the start of the race, near the Woodhaven Blvd end of the route. Transportation- Take the R or M train to Woodhaven Blvd, then take the Southbound Q53, Q52, Q11 or Q21 to Myrtle Avenue and Woodhaven Blvd. You can also take J Train to Woodhaven Blvd, then walk up Woodhaven Blvd to the entrance of the park. Another alternative is to take the E or F Train to Union Turnpike: Kew Gardens and make your way through Forest Park drive (this is about a 2 mile jog). The Q55 also leaves you a block from the Race Setup Area. Parking- If you are driving, you can set your GPS for the Forest Park Carousel where there is a Fee-Free Parking Lot. You’ll have to walk out and cross Woodhaven Blvd to access the Race. You may also have a shot at parking directly on Woodhaven Blvd. The Kids of Queens- At 10:30AM, upon Completion of the Adult Races, stick around for The Kids of Queens! For full details concerning the aim of The Kids of Queens, Follow this Link. The distance of the Kids Run will be approximately one mile and is an out-and-back mile that will take kids up the 1st Hill, and return to The Finish Line. 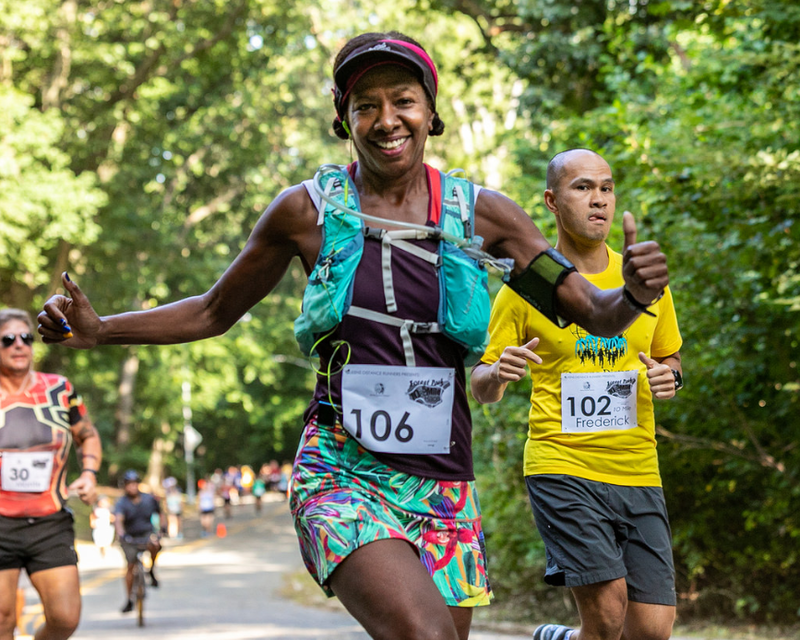 In addition to Complimentary Race Day Photos from elitefeats, Horse and Duck Photo will place themselves along the course, capturing your very best moments of the race! LIVE online/email/text results. LIVE Split Point Tracking throughout the race!